Technical buildings generally have to be erected economically and quickly. Furthermore, they need to be easy to clean and of lasting value. 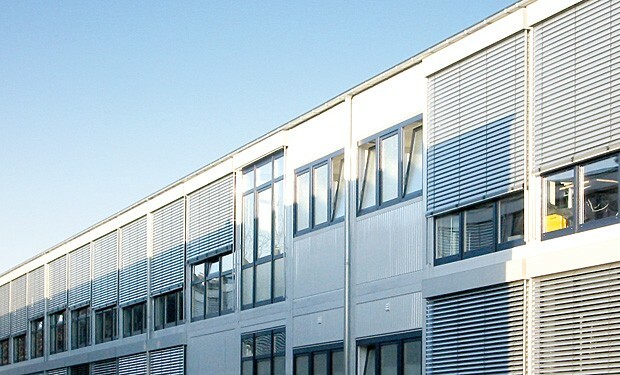 Technical buildings made from prefabricated room modules in modular steel construction can be erected more quickly than in conventional massive construction. Container buildings are preferably used as workshops, storage or social areas and as contemporary solutions. Also under extreme conditions like in the Antarctica container buildings are the ideal solution. Service buildings - everything under control. No matter if access control station at airports or other security areas, frontier control station or for customs clearance - the operational costs shall be kept as low as possible. However, staff and data processing technology has to be protected from access by unauthorised personnel. Hall containers - room in room. Hall containers are used for various purposes, i.e. forman’s office, sanitary, recreation or engineering room. Due to the prefabrication in our factory the effort on site is reduced to a minimum. The building can quickly be put into operation. Technical containers - the quick room solution. No matter if electrical energy, gas or liquid media - technical containers enable the preassembly of complex control systems and distributors ready for connection. The assembly time on site is reduced to a minimum, the containers are easy to transport and protect the technical instruments from access by unauthorised personnel. Control units are used in production areas, commonly between or above the production machines. Technical containers are the optimal solution for this purpose. Shop systems - designed for high customer frequency. No matter if new building or renovation, time plays an essential role, especially when erecting sales rooms i.e. for petrol stations as the shop is the key for the profitability of a petrol station.